This is the second in my Alphabet of Chicken. 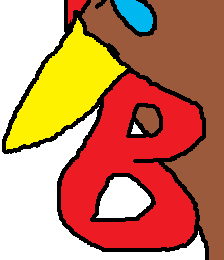 I call it B., which is the only original title I found suitable for this. Oh, Kaloo... the B should be green and the C should be reddish brown. My brain is going to explode!